Bernhard Riemann Biography - Facts, Childhood, Family Life & Achievements of German Mathematician. Bernhard Riemann was a German mathematician, known for his contribution to differential geometry, number theory and complex analysis. Check out this biography to know about his childhood, family life, achievements and other facts about his life. Georg Friedrich Bernhard Riemann was a German mathematician, known for his contribution to differential geometry, number theory and complex analysis. Born to a poor village pastor in the Kingdom of Hanover, he showed great mathematical skills from his early childhood. After receiving his elementary education at home, he was sent first to Hanover and then to Lüneburg for his formal education. Thereafter, he enrolled at the University of Göttingen with theology and philosophy; till then his goal in life was to become a pastor like his father. It was about this time that he decided to pursue mathematics as his career option and moved to the University of Berlin to study mathematics under eminent teachers. On receiving his bachelor’s degree from there, he returned to Göttingen and remained there for the rest of his life. He lived for only thirty-nine years but within this short span of time, he contributed significantly to various branches of mathematics, changing the course of future research works and laying the foundation of Einstein’s relativity theory. Georg Friedrich Bernhard Riemann was born on 17 September 1826 in Breselenz, now a part of Jameln municipality in the district Lüchow-Dannenberg, Germany. At the time of his birth, it was a separate village under the Kingdom of Hanover. His father, Friedrich Bernhard Riemann, was a poor Lutheran minister in Breselenz. He and his wife, Charlotte nee Ebell, had six children, out of which Georg was born second. 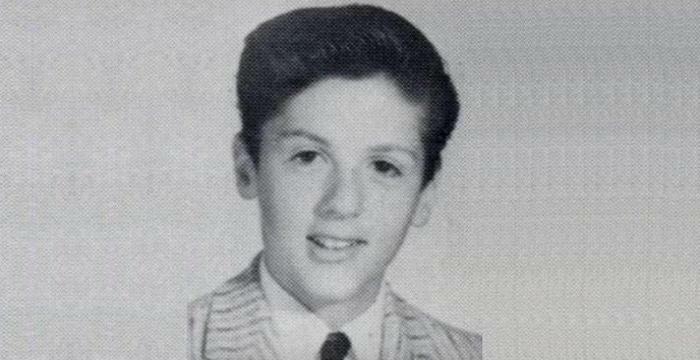 From his childhood, he was very shy and introverted. Georg lost his mother early in his life. He had his elementary education under his father until the age of ten. Thereafter, somebody named Schulz, who taught at the local school, came to help his father in educating them. Even at that time, he exhibited astonishing skills in mathematics, especially in calculus. Therefore, in the Easter of 1840, he was sent to live with his grandmother in Hanover and there he entered directly into the third class at the Lyceum (middle school). He studied in the Hanover lyceum until grandmother’s death in 1842. Thereafter, he entered Johanneum Lüneburg, a traditional gymnasium (high school) in Lüneburg. He was a hardworking and good student, taking special interest in Hebrew and theology; but mathematics remained his favorite subject. Initially, his ambition was to become a pastor like his father and augment the family income. 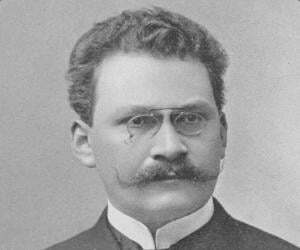 Bur very soon, his mathematical skills, which often surpassed his teachers’ knowledge in that subject, attracted the attention of Schmalfuss, the director of the gymnasium. Impressed by his ability to solve complicated mathematical problems, the director started lending him books on mathematics from his own library. On one occasion, he gave him ‘Number Theory’ by Adrien Marie Legendre and Bernhard mastered it in six days. However, his goal remained the same. In the spring of 1846, Riemann entered the University of Göttingen with theology and philosophy. Concurrently, he started attending classes on mathematics by Johann Carl Friedrich Gauss and Moritz Stern. Noticing his interest in that subject, his father finally gave him permission to devote himself to mathematics. At that time, the standard of mathematics at Göttingen was rather poor and therefore in the spring of 1847, Riemann moved to the University of Berlin, graduating from there in 1849. Here he studied under eminent professors like Jacobi, Steiner, Eisenstein and most importantly Lejeune Dirichlet. 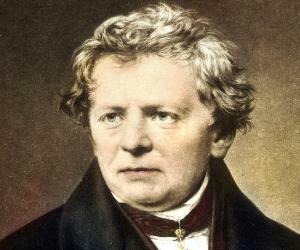 In 1849, he returned to Göttingen for his doctoral work. This time, he found Wilhelm Weber had returned to a chair of physics while Johann Benedict Listing had been appointed professor of physics. Working with them, Riemann gained a strong background in theoretical physics. From Listing, he also studied topology. His doctoral advisor was Johann Carl Friedrich Gauss. Working on the theory of complex variables and what we now call ‘Riemann surfaces’, Riemann submitted his doctoral thesis in November 1851 and defended it in December. His dissertation was titled, ‘Grundlagen für eine allgemeine Theorie der Funktionen einer veränderlichen complexen Größe’. Although based on works of Augustin-Louis Cauchy and Victor Puiseux, his work was strikingly original. It examined geometric properties of analytic functions, conformal mappings and the connectivity of surfaces. 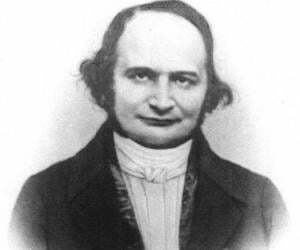 In 1852, on the recommendation of Gauss, Riemann began his career as a Privatdozent at the University of Göttingen. Concurrently, he also worked for Weber without any pay. At the same time, he started preparing for his Habilitation, which would entitle him to obtain appointment as a lecturer. For his Habilitationsschrift (probationary essay), he chose the Fourier series on heat-flow, submitting it at the end of 1853. It was a masterpiece, which made great progress towards solving some of the foundational issues left unsolved by French mathematician Joseph Fourier in his work, ‘Théorie analytique de la chaleur’. 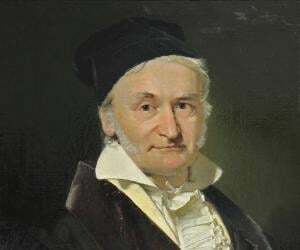 He also submitted a list of three possible subjects for his Habilitationsvortrag (probationary lecture), out of which Gauss chose the third. It was titled ‘Über die Hypothesen, welche der Geometrie zu Grunde liegen’ (On the hypotheses that underline geometry). The lecture, given on June 10, 1854, not only introduced what today is known as n-dimensional Riemannian manifold, but also its curvature tensor and discussed the relation between mathematical space and actual space. However, the last was left as a theory for sixty years until it was proved by Einstein. Even after his habilitation was complete, Riemann continued to work as a privatdozent. The position did not entail any kind of salary; but he was able to collect fees from his students. His first course was on partial differential equations with applications to physics and he had very few students. In 1855, with the demise of Gauss, his chair went to Dirichlet. Dirichlet now tried to obtain the post of extraordinary professor for Riemann, but on being unsuccessful in his endeavor, he obtained another small job for him. 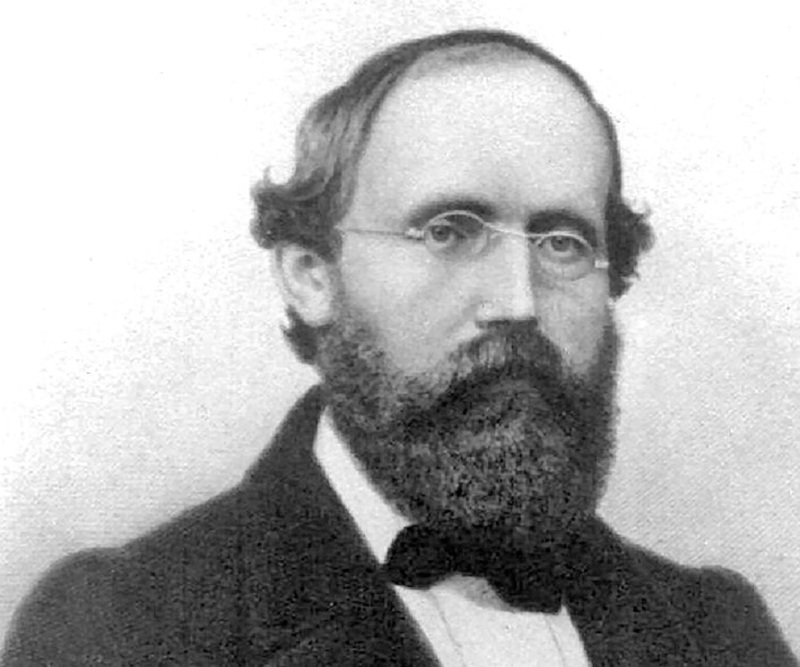 Riemann, now earning a salary of 200 taler a year, concentrated on his work. His lectures during the period of 1855-1856 led to the publication of his ‘Theory of Abelian functions’ (1857). It is now considered to be one of the most notable works in mathematics. 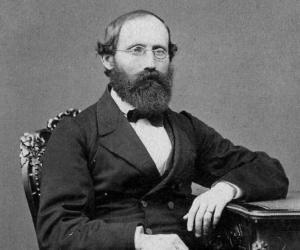 In 1857, Riemann was appointed an Extraordinary Professor at the University of Göttingen, earning a salary of 300 taler. For the first time in his life, he became financially secure. In 1859, with the death of Dirichlet, Riemann became a full professor. In the same year, he was elected to the Berlin Academy of Sciences as a corresponding member. His membership was proposed by Berlin mathematicians, Kummer, Borchardt and Weierstrass. His introductory report to the Academy, titled ‘On the number of primes less than a given magnitude’, was another masterpiece. Over the time, it changed the course of mathematical research in a very significant manner. In 1862 he suffered an attack of pleuritis, which continued to relapse off and on. He then took a leave of absence from his university and spent the winters of 1862-1863 in Sicily, which had warmer climatic conditions. Thereafter, he traveled around in Italy, meeting many mathematicians, especially Betti. Then in June 1863, he returned to Göttingen, but as his health deteriorated, he once more moved to Italy, staying there from August 1864 to October 1865 before returning again to Göttingen. Riemann remained in Göttingen until June 1866, after which he moved to Selasca, located on the shores of Lake Maggiore. All this while, he continued with his work, writing a number of papers, which were later found in manuscript form after his untimely death. Bernhard Riemann is best remembered for his novel approaches to the study of geometry. He argued that space could have infinite dimension and it was not necessary that a surface be drawn only in three-dimensional space. He is also famous for his contributions to the theory of functions, complex analysis, and number theory. His works inspired Eugenio Beltrami to produce a description of non-Euclidean geometry and provided the mathematical foundation for Albert Einstein’s theory of relativity. On 3 June 1862, Bernhard Riemann married Elise Koch from Körchow, Mecklenburg-Schwerin. She was his sister’s friend. The couple had a daughter, named Ida, born in Pisa in 1863. In the autumn of 1862, shortly after his marriage, Riemann caught a severe cold, which turned into pleuritis. As was the custom those days, he went to Italy to cure his illness but in spite of periodic recovery, his health started deteriorating. By the middle of 1866, he became very sick. In June, he left for the Italian village of Selasca on the shores of Lake Maggiore, reaching the place on 16th. On 19 July he sat under a fig tree, enjoying the landscape and working on his last paper on natural philosophy, which he left unfinished. On the very next day, Bernhard Riemann died from consumption while his wife sat beside him, saying the Lord’s Prayer. He was fully conscious at the time of his death and was thirty-nine years old. He lies buried in Biganzole Cemetery in Italy. In mathematics, numerous terms have been named in Riemann’s honor; ‘Riemann bilinear relations’ ‘Riemann conditions’, ‘Riemann form’, ‘Riemann function’ etc. being some of them. A lunar crater, located near the northeastern limb of the Moon, has been named Riemann in his honor. During his lifetime, Riemann published very few papers. But the ‘Collected Works of Bernhardt Riemann’, published posthumously in 1892 continues to carry his legacy till date. Bernhard Riemann, in his short life, became known as an outstanding mathematician. At the same time, he had a strong inclination towards philosophy and many believe that had he lived longer, philosophers would have claimed him as one of their own. It is possible that he had tuberculosis long before he actually became sick. His early bad health and the premature deaths of his mother, one brother and three sisters is a pointer to the fact.